Hello! 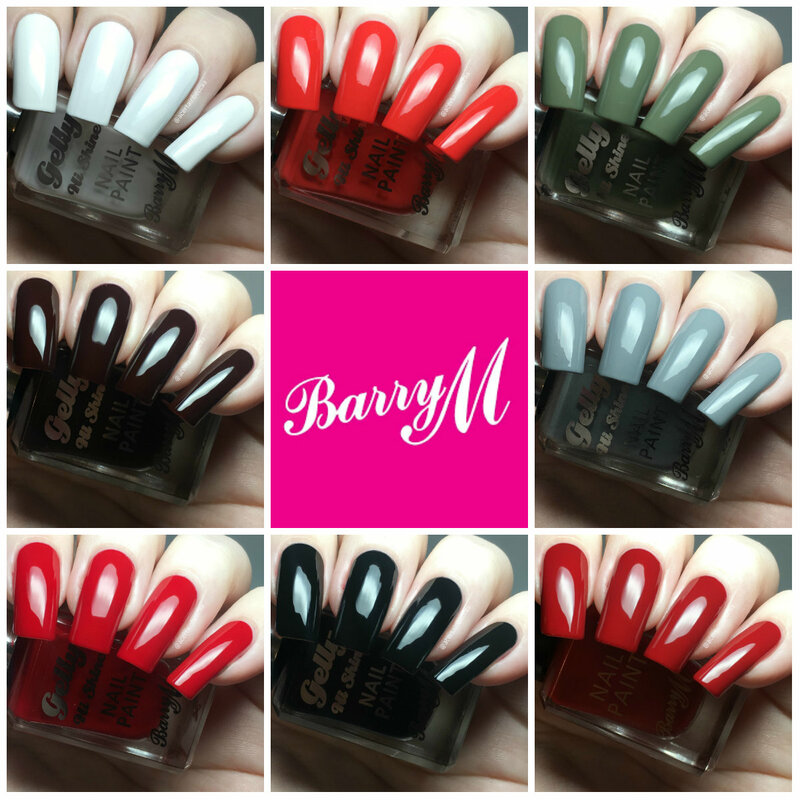 Today I have swatches of eight different Barry M polishes to share with you. I have an exciting collaboration coming up with the brand, and they sent me all eight of these along with the four newest molten metals (swatched here). Some of these are new to my collection, and some I either haven't shared swatches of, or haven't done so in a long time - so I figured I'd share some now! Read on for more info. First up for the gellies is 'Cotton', a bright white. The formula is super smooth and easy to apply. This has great coverage for a white. It has good opacity on the first coat, and builds up fully on the second. 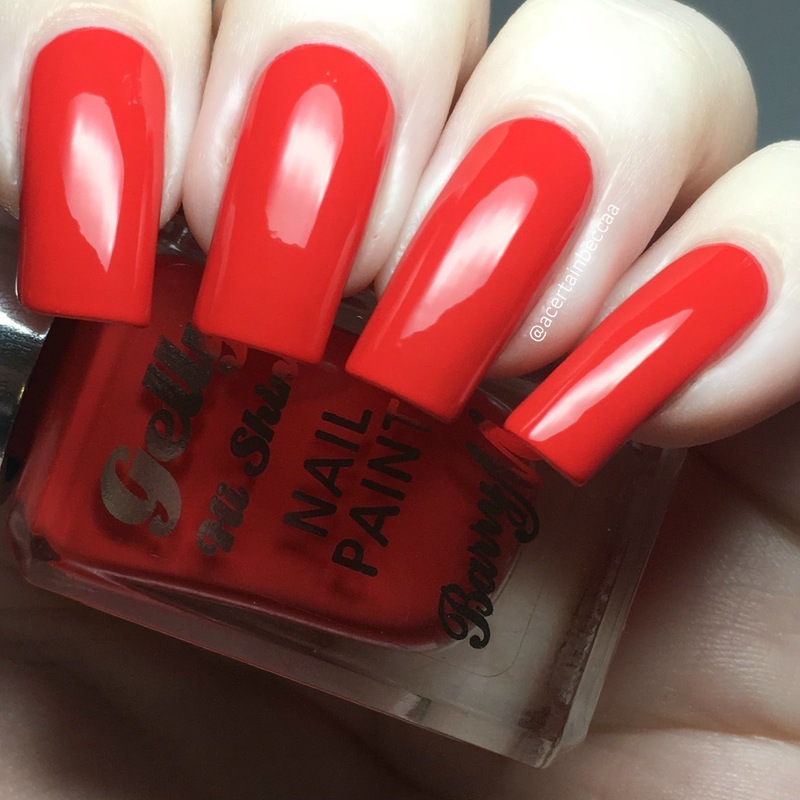 I always struggle with white polishes, but this one is fab! Below is two coats with topcoat. 'Passion Fruit' is a saturated, red-toned orange. The formula is smooth and easy to apply. This covers really well on the first coat and applies evenly. I did need a second to cover my nail line and deepen the colour slightly. Below is two coats with topcoat. 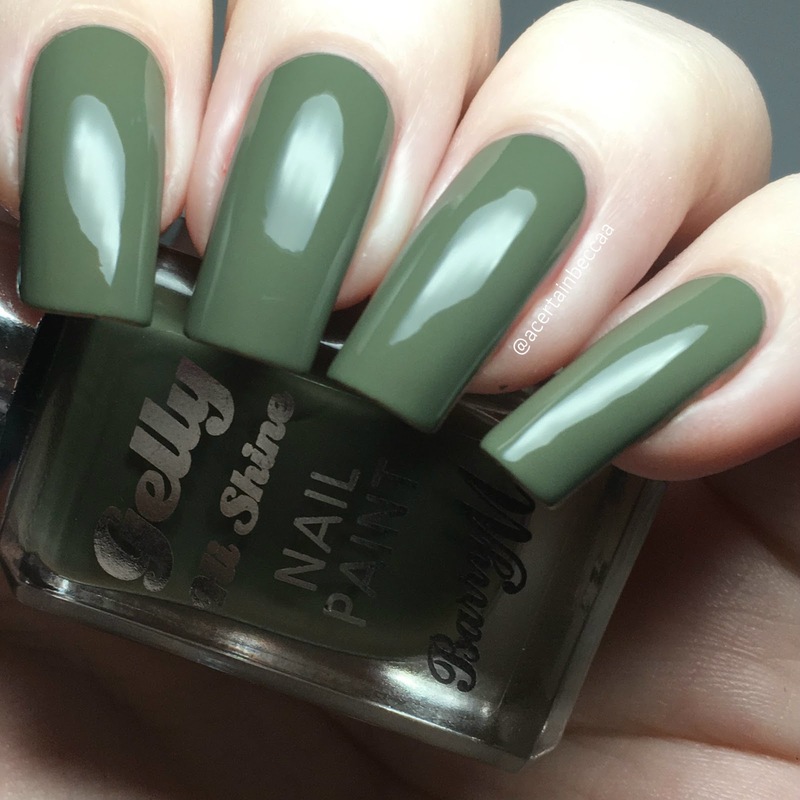 'Matcha' is a dusty khaki green. It has a smooth, easy to apply formula. This one is a bit sheerer on the first coat, but covers evenly and builds up really well. A second coat brings it fully opaque. Below is two coats with topcoat. 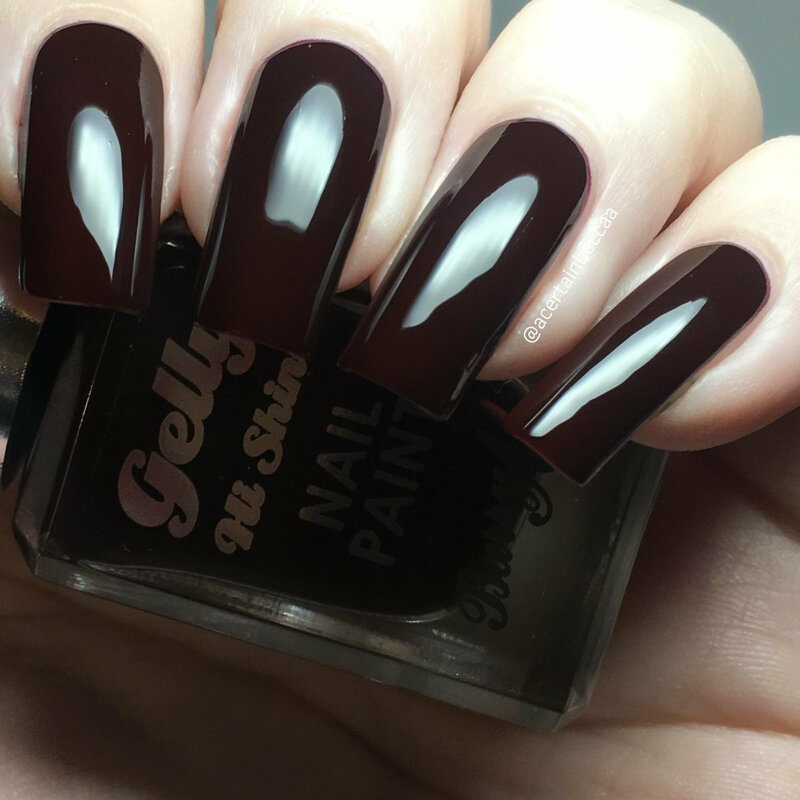 'Black Cherry' is a super dark, almost black, crimson red. The formula is smooth and easy to apply. It starts off slightly patchy but evens out with a second coat (or third if you are super picky like me). The colour also deepens with each coat. Below is three coats with topcoat. 'Chai' is a medium grey. The formula is super smooth and easy to apply. The first coat is a bit sheer and streaky, yet a second builds it up nicely. I also feel like this dries ever so slightly darker than it applies. Below is two coats with topcoat. 'Blood Orange' is an orange-toned red. 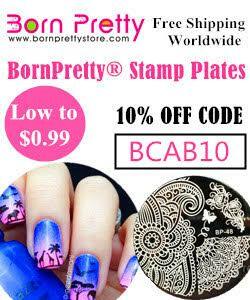 It has a smooth and easy to apply formula. Like a lot of reds, I can see my nail line through this after two coats. It covers evenly though, and a quick third coat covered my nail line. Below is three coats with topcoat. 'Black Forest' is a jet black. It has a smooth, easy to apply formula. This is a bit light and streaky on the first coat, but evens out and deepens after a second. I did add a third for my pictures but it wasn't necessary. Below is three coats with topcoat. I used this matte as a base for nail art, so figured I may aswell show you that too. Below is three coats topped with Barry M matte topcoat. Last up is 'Siren', a rich, vampy red. This is the only one in this post that isn't a Gelly, and is instead a classic Barry M nail paint. 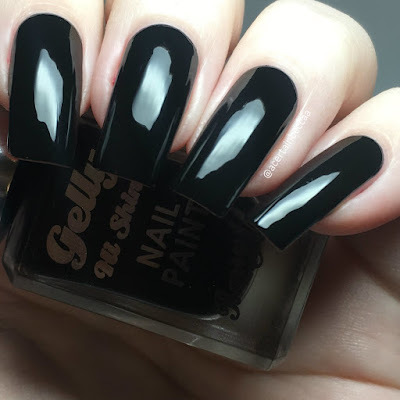 The formula is super smooth and easy to apply. I ended up adding a third coat to make sure my nail line was fully covered, though I could easily have got away with two. Below is three coats with topcoat. What do you think? Aren't they all fab?! 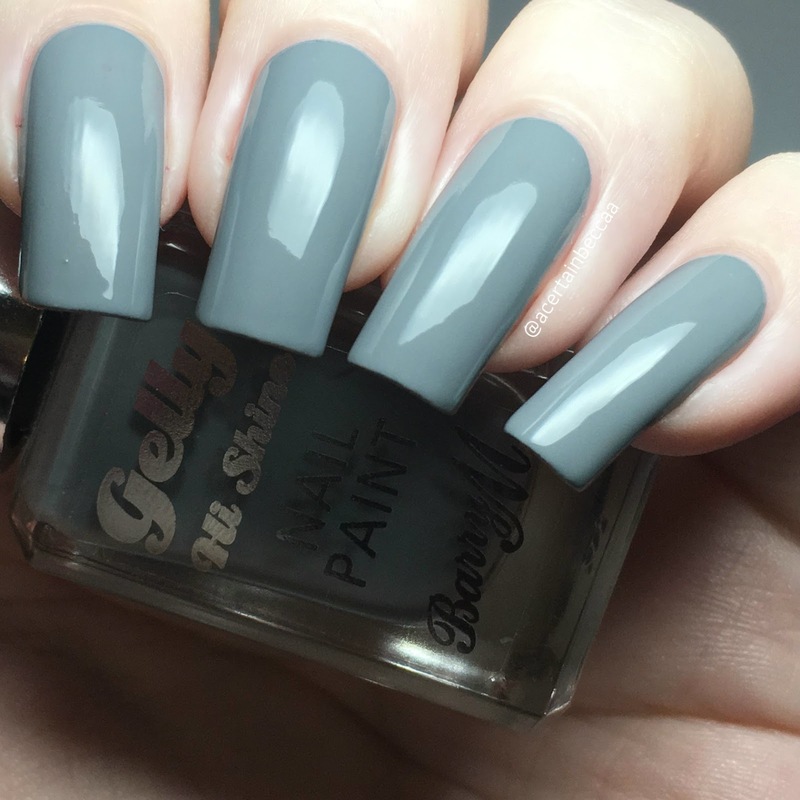 It's no secret that Barry M is one of my favourite brands. I'd even go as far to say it actually is my favourite. Every single one of these polishes was super easy to apply. I can't wait to share what I've been doing with them! You can find all of these polishes and more on the Barry M website here.